Welcome to the kea publishing website. 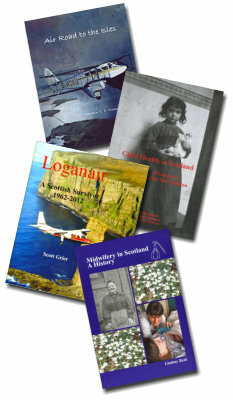 kea publishing was launched in 1991 with the objective of publishing books, on an occasional basis, which narrate the development of aviation in Scotland. In 2010 the Scottish History Press imprint was launched. This features scholarly works on aspects of Scottish history and will again publish on an occasional basis. Scottish History Press is pleased to launch with two titles featuring noted historians: Dr Lindsay Reid's work, Midwifery in Scotland: A History, to be followed by a collection edited by Dr Alison Nuttall and Professor Rosemary Mander, James Young Simpson: Lad o Pairts. And lastly, please visit our Links page for other websites, some of which are on diverse aviation or history topics - with a few others thrown in an eclectic mix! We hope you enjoy your visit to kea publishing. We have enjoyed your company.